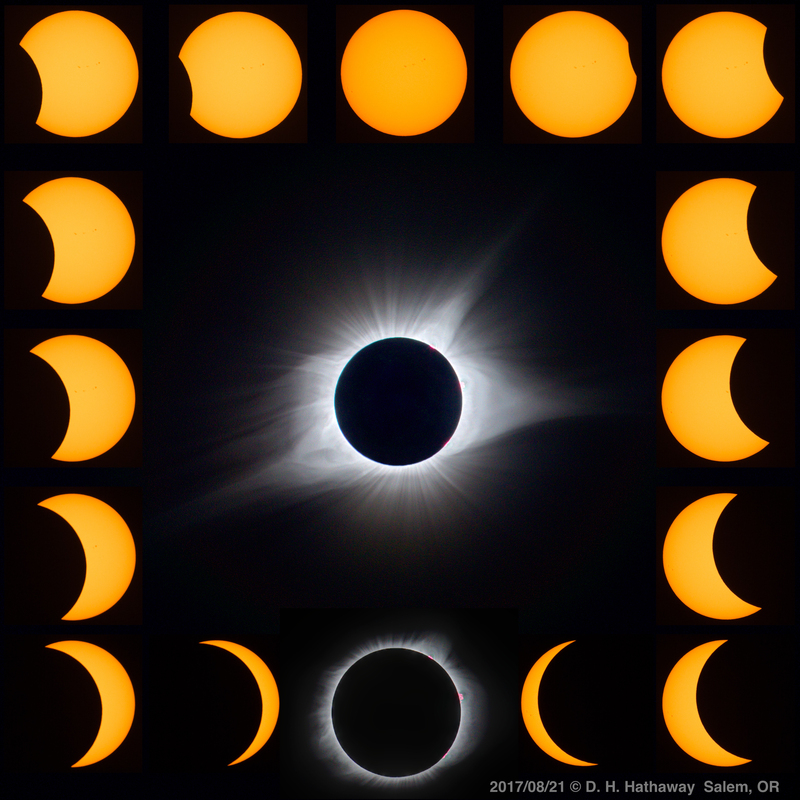 Here are some cool pictures and videos as well as some amazing photos of the 2017 Solar Eclipse. Thanks!!!! Magnetic Solar Cycle 24. Illustrates the evolution of the Sun's magnetic field over the course of solar Cycle 24. Images have been saturated at 50 Gauss in order to enhance the visibility of the weak magnetic network over the entire Sun, and particularly the poles. AFT Baseline 2015.The AFT Baseline assimilates the magnetic field from magnetograms (region indide of the ring) and advects the field using the obseved surface flows to provide a picture of the evolution of the photospheric magnetic field configuration of the entire Sun for a singe instant in time. In this video, we see this evolution for 2015, just after Solar Cycle 24 maximum. Solar Cycle 24 Supersaturated Polar Field Reversal. There has been considerable chatter about the "triple reversal" of the Sun's North pole during Solar Cycle 24. From this video, it seem that the extra reversals may not be true reversals. It appears that the reversal from negative to positive (blue to yellow) completes at about September of 2013. Afterward we see a blue leading polarity stream that makes its way North. While at times it does appear to dominate the 55 and 75 degree rings, it doesn't ever appear to dominate the 85 degree ring - thus our assessment that there was only a single "true reversal" in the northern hemisphere. 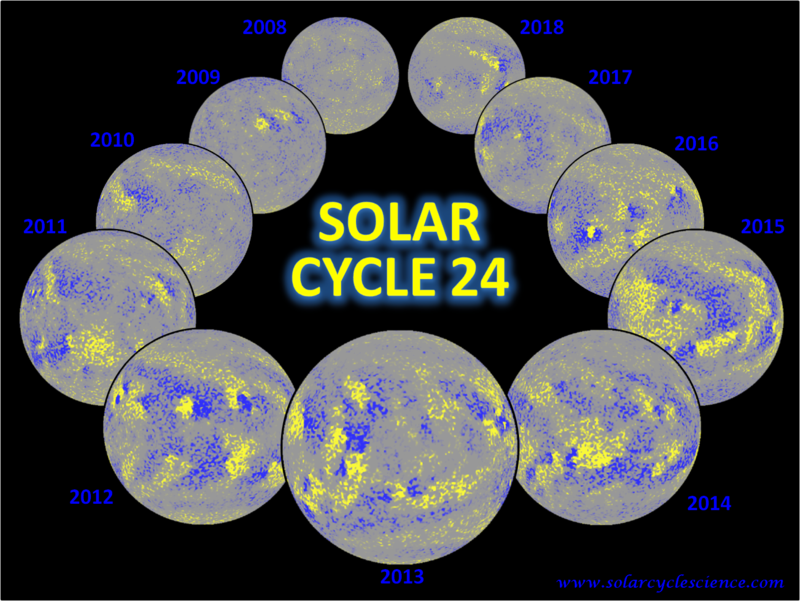 Solar Cycle 24 Supersaturated Polar Field Reversal. For the South, data assimilation only goes up to the end of 2014. After that, I let the AFT continue for a few months so you'll notice the distinct absence of the HMI data being added during the end of the video. (You may also notice that it continues through the end of May, i.e. into the future at the time this movie was made.) An aspect that is particularly evident in the South Pole movie, is the presence and persistence of the active longitudes. Seen in the outer edge of the Sun, the large scale flux pattern stays largely unchanged or evolves very slowly as the HMI assimilation passes by. 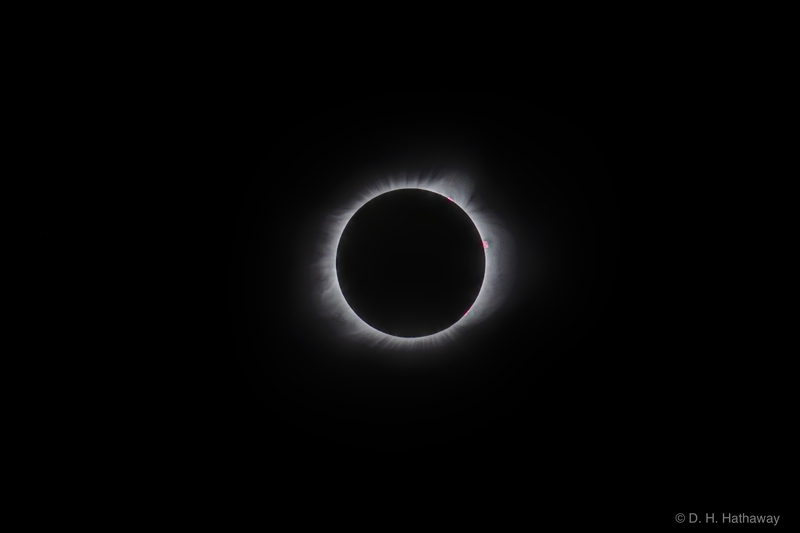 2017 Solar Eclipse. 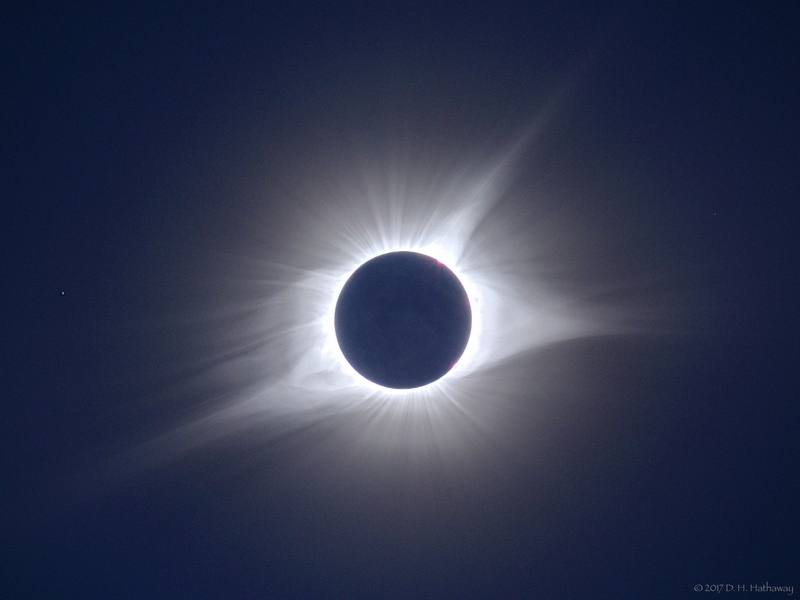 Photograph by David Hathaway - Montage (partial phases at 1/500 with ND filter).